A Spacious Detached Home situated Close to the Beach at Seaton Hole between Beer and Seaton. Accommodation set over Three Floors. Large Plot of Around 0.75 Acre. A Charming Detached Three Bedroom House with two Bedroom Annexe, Parking, Garage and Gardens. Village Location. Lovely Views. No Chain. Beautifully Presented Detached Family Home of Character with over 2,500 Square Feet of Accommodation, Situated opposite a Village Green in the Pretty Hamlet of Holditch in West Dorset. 4 Bedrooms, 2 En-Suite, Annexe, Double Garage. Around Half an Acre. Catchment for Woodroffe School. Elegant Detached Four Bedroom Period House with Large Garden and Parking. Set in the Heart of this Pretty Village, just 11 Miles north of Lyme Regis. A large 1930`s Detached Six Bedroom House on half an acre plot with Fabulous Views. 3 spacious Reception Rooms, Kitchen/Diner, Large Conservatory, Ground Floor Shower Room/w.c. plus Cloakroom. Two largest Bedrooms are En Suite, plus Family Bathroom. Plentiful off Road Parking. Large Tandem Garage. Detached Period Four Bedroom Village Home with Lovely Gardens and Paddock. In all about 1.1 Acres. Benefit from Modernisation. Large Tandem Garage and Parking. An Extended Four Bedroom Home with Large Double Garage Situated on a Plot of Around an Acre in All. Very Spacious Accommodation. Potential for Further Development if Desired. Extremely Well Maintained Four Bedroom Detached House with VERY LARGE GARDEN and DOUBLE GARAGE situated in a CUL-DE-SAC. 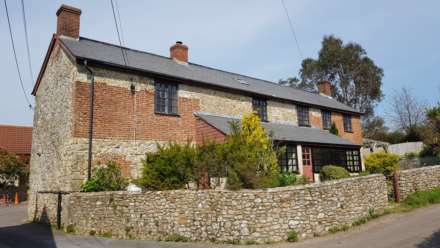 A Large Detached Former Farmhouse in Need of Some TLC, providing Versatile Accommodation. Can be Used as Three Bedroom Main House with Two Bedroom Annexe or as One Large Property. No Onward Chain. A Fascinating Four Bedroom Grade II Listed House set in Generous Gardens with a Self-Contained One Bedroom Bungalow Annexe and Several Stone Outbuildings. The House is Centrally Situated in the Lovely Village of Membury. A Very Spacious Detached House with over 2,000 Square Feet of Accommodation. Well Maintained but Somewhat Dated Internally. Fabulous Galleried Landing. Private Garden. Parking and Double Garage. No Onward Chain.